Some photos from around the Crown of Maine over the last few days. This morning on Long Lake. Check out the Spring issue of Our Maine Street’s Aroostook Magazine. 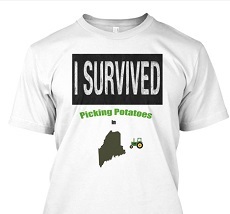 Aroostook County people take Spring snow storms with a sense of humor! 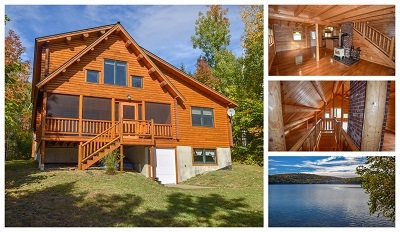 2 bed 2 bath year round lakefront home in Island Falls, Maine. This home has been meticulously cared for and has owned frontage on Pleasant Lake. Features many amenities including Vermont Castings wood stove, oak flooring, ash cabinetry, marble counter tops, and custom details! $325,000.